The complete Dental Patient Education solution to introduce concepts to patients. 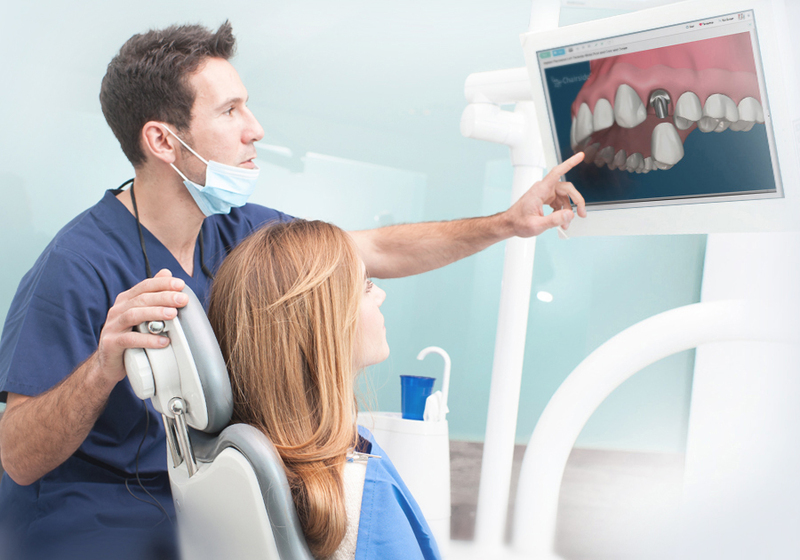 Consult-PRO Chairside Connect is the complete Dental Patient Education solution to introduce concepts to patients. Used by general dentists, dental specialists, treatment planners, treatment coordinators, hygienists and the entire dental team. With over 10,000 global users, over 500 high quality 3D dental videos available in up to 20 languages, and over 300 slide presentations including pictures and case presentations, Chairside Connect is the education tool of choice for all dental professionals. With Chairside Connect, users have the ability to email presentations directly to patients to watch in the comfort of their home. Chairside Connect will also automatically document that you emailed the presentation to the patient and store it in your patient history, also informing you when they opened and viewed it. The 3D animations include consequences of non-treatment, different treatment options, and complications associated with treatment. Educate, motivate and save Chairtime! Chairside provides over 500 award-winning 3D video animations, 130 brochures, and over 300 slide presentations. Send communications and appointments directly to your patients mobile devices and stay easily connected.